← How is your testosterone levels? Smashing it up on Bramble Bay in Queensland, Australia this afternoon. 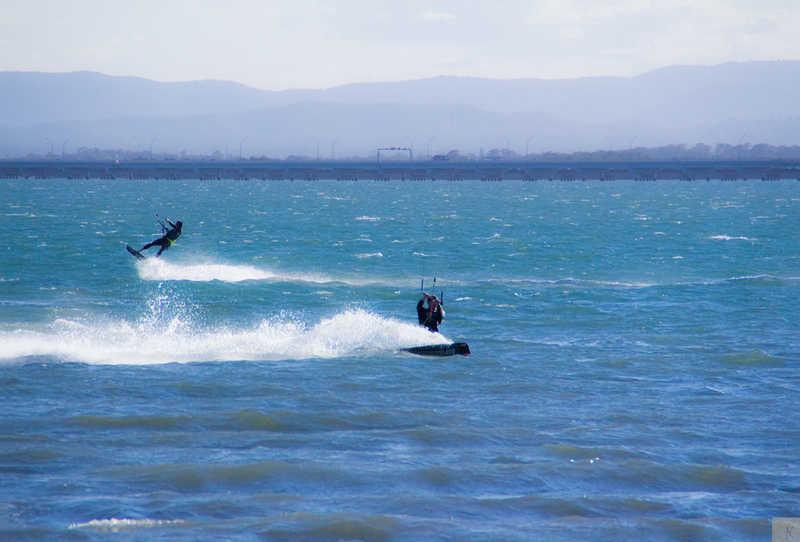 I love when I pull out the long lens and the kite surfers are more than happy to put on a show. These guys are fearless risking life and limb to pull off some gnarly moves. I love this urban dictionary meaning “Gnarly is when you’ve gone beyond radical, beyond extreme, it’s balls out danger, & or perfection, & or skill or all of that combined.” I’m pretty sure that these guys have their balls firmly tucked away safely in their wetsuits. Setting my camera to sports mode, continuousness shooting, my memory card was full in no time. 500 odd shots taking in Raw + 5184 x 3456 I forgot to check my settings. I should have shot in jpeg only which would have allowed me to rip out more shots. I must get some fluidicthought business cards make up with this blog and my instagram details on it so I can leave my card if people I photograph want to check themselves out or request copies. I’m more than happy to give them the photographs. Last time I photograph and posted the kite surfers I wrote fludicthought.com in the sand on the off-chance one of the guys saw it and was curious enough to come and take a look. As they exit the water fighting to control their kites, I guess they really haven’t got time to read notes left in the sand. I remember thinking back then if I had a card I’d leave it on their gear on the shore. 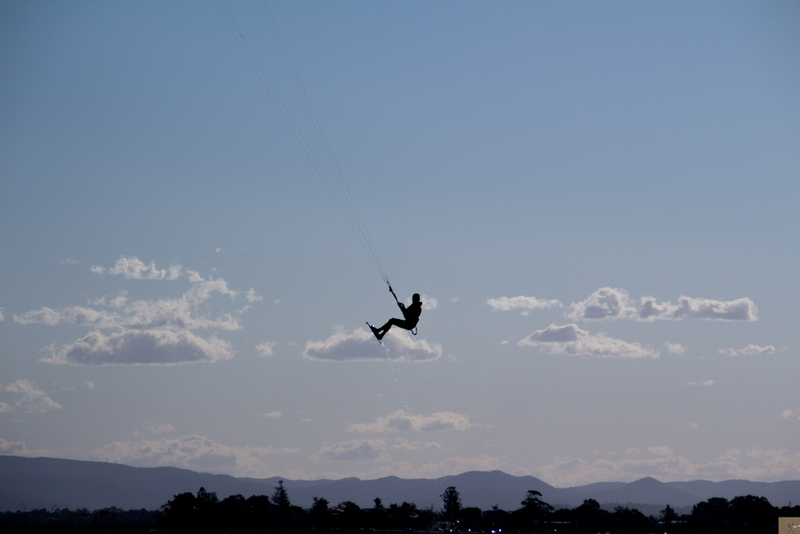 This entry was posted in Australia, Kitesurfing, Photography, Sports and tagged Australia, Bramble Bay, Kite Surfing, Queensland. Bookmark the permalink.